Nearly one-third of Americans have hypertension, also known as high blood pressure, and 20% aren’t aware they have it. High blood pressure is a silent disease, and it’s also a potentially dangerous one that can lead to heart attack or stroke. 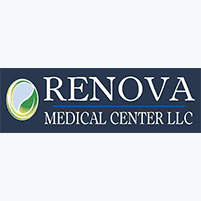 The good news is that high blood pressure is reversible, especially under the expert guidance of Renova Medical Center in Columbia, Missouri, who specializes in nutritional and metabolic wellness. To get your blood pressure numbers down, call or book an appointment online. This list represents the most common problems. Because of its direct effect on your cardiovascular system, the potential complications of high blood pressure are numerous. Once you know your number, and where you fall, you can get started on bringing these numbers down with our help. While some of these factors can’t be changed, but many can, which affords you considerable control over your blood pressure. In working with you to lower your blood pressure numbers, we start by running blood tests to determine how to approach your problem. Through blood chemistry panels and biochemistry panels, we get a detailed look at the composition of your blood and where problems may exist regarding deficiencies or excess. As a nutrition counseling center, we have extensive expertise in correcting health problems like hypertension through proper diet and weight loss. Since obesity is one of the biggest culprits behind high blood pressure, he works with you to address your weight problems with individualized plans tailored to your biochemistry. We also customize exercise plans that help you reach your weight goals more quickly. Your body is as good as what you put into it and, by addressing your nutrition, you can make a huge difference in your overall health and wellness. To learn more about easy ways to lower your blood pressure, call Renova Medical Center or use the online booking tool to schedule an appointment.